This is the first book to combine museum-based conservation techniques with practical instructions on the maintenance, repair, adjustment, and tuning of virtually every type of historical musical instrument. 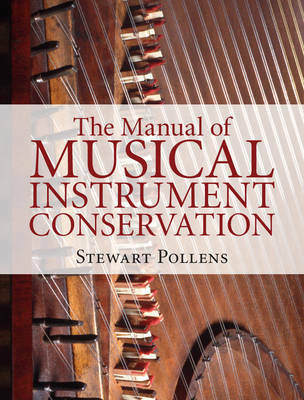 As one of the world's leading conservators of musical instruments, Stewart Pollens gives practical advice on the handling, storage, display and use of historic musical instruments in museums and other settings, and provides technical information on such wide-ranging subjects as acoustics, cleaning, climate control, corrosion, disinfestation, conservation ethics, historic stringing practice, measurement and historic metrology, retouching, tuning historic temperaments, varnish and writing reports. There are informative essays on the conservation of each of the major musical instrument groups, the treatment of paper, textiles, wood and metal, as well as historic techniques of wood and metalworking as they apply to musical instrument making and repair. This is a practical guide that includes equations, formulas, tables and step-by-step instructions.